For a single-use, non-reusable option to block USB ports, secure your exposed USB ports with the PadJack USB Single-Use Port Lock. 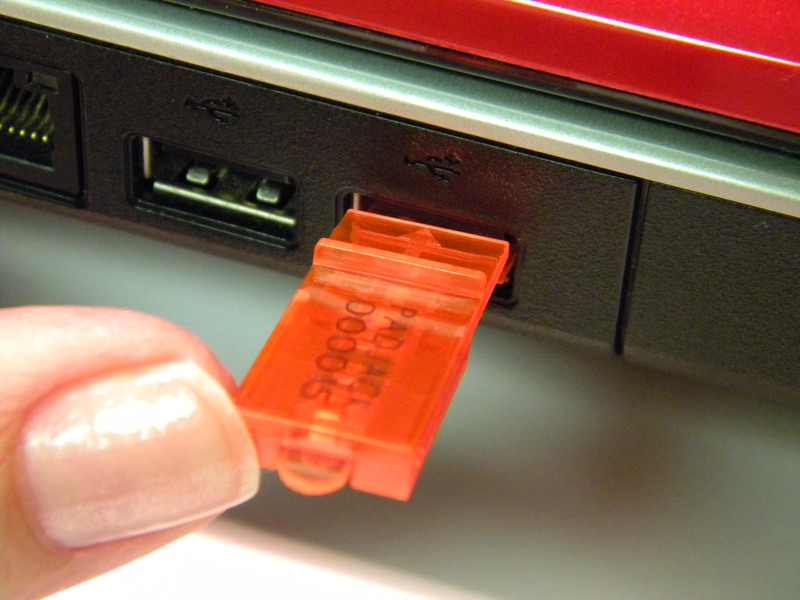 It is a simple, cost effective security solution to deter USB port access. Slide both laser-etched serial numbered pieces into the USB port, and they will lock together in the port. The Single-Use Lock is destroyed upon removal, and is ideal for laptops and portable devices.